Since the outcomes of the abstract review process were announced on 6th March, we have received many emails from disappointed submitters whose abstracts couldn't be accommodated on the program for the 2019 iHEA Congress, including many well-known and very experienced health economists. We felt it was important to provide information on the abstract review process and the constraints on numbers of abstracts that could be accepted. Following feedback from Congress delegates at previous congresses, that the day was too long, there will be fewer oral presentation sessions at the 2019 than the 2017 Congress, with sessions running from 8:30 am to 5:00 pm (in contrast to times of 8:00 am to 6:15 pm in 2017 congress). There will, however, be a return to posters at the 2019 congress, enabling further participants to share their research. A final check by the chair and co-chair of the scientific committee to ensure equity across the different areas of health economics. Although a similar number of abstracts were submitted for the 2019 congress as for other recent congresses, competition for spaces on the program was more intense because the quality of submissions as a whole was extremely strong; the review score acceptance was set at a very high level (typically, a mean score of at least 7 out of 10 for oral presentations and slightly less for poster presentations). Ultimately, the overall acceptance rate was 51%, and the acceptance rate across all types of oral presentations was just 43%. It is clear that this was an exceedingly competitive process and many quality abstracts and sessions could not be accommodated. While this bodes well for a congress with excellent scientific content, we do understand that it doesn’t overcome the disappointment for those whose abstracts were not accepted. We look forward to the presentations in Basel. We will continue to explore ways of accommodating as many quality abstracts as possible at future congresses in 2021 and beyond. Mentoring Program to be Launched Soon! iHEA will soon launch a mentoring program, which will match mentors and mentees for a one-year period, with a commitment to four online meetings of 60-90 minutes over that year. The goal of the program is supporting health economists in their professional development and personal well-being, and is intended to meet the needs of both early career researchers (ECRs) and mid-career researchers as mentees. Mid-career researcher: Scientists who have received their highest degree 7-15 years ago. 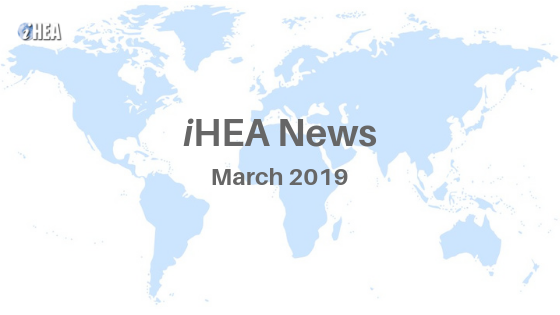 The mentee application link will be circulated via email to iHEA members within the next two weeks, and applications will close on May 3rd, 2019. As there is a short time-frame for applications to be submitted, we wanted to alert iHEA members to this opportunity so that you keep an eye out for the email and respond quickly if you are interested in participating. The program is a collaborative effort of the Professional Development Subcommittee and representatives of the Early-career Researchers’ Special Interest Group (ECR-SIG), with support from the iHEA management team and the Board of Directors. The fifth interview of this series is with Jin Xu. Jin is a Lecturer at the China Center for Health Development Studies, Peking University. He completed his PhD in Health Economics at the London School of Hygiene and Tropical Medicine in 2017. His research interests are in the use of cross-disciplinary approaches to study the transition of health systems and evaluation of complex interventions. 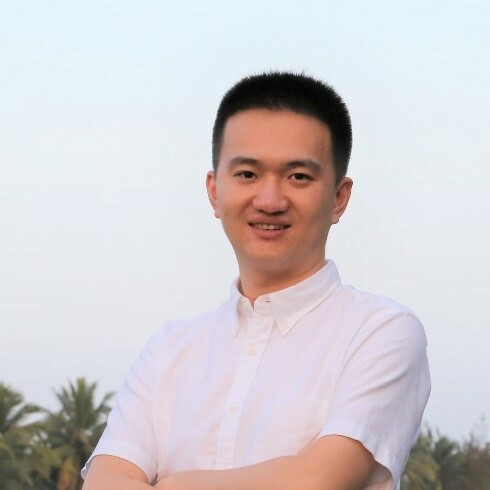 Angela Esi Micah and James Buchanan, two of the conveners of the ECR-SIG, spoke to Jin in February 2019 to discuss his career to date. Click here to read the interview online. "Capacity strengthening" is a favored term and activity amongst development partners, donors and technical experts when it comes to health financing, resource allocation, and economic evaluation on the African continent. And rightly so - in comparison to many high-income countries, the numbers of people with skills and knowledge in the principles of health economics and related disciplines is low, resulting in critical shortages in parts of the world where applied health economics has the greatest potential to improve people's lives. But this may be changing. More than ten years ago a survey of health economics teaching capacity on the African continent was conducted. It found fledgling Master’s degrees in health economics at just two institutions – University of Cape Town, South Africa and Centre Africain d’Etudes Supérieures en Gestion (CESAG), Senegal, and Masters-level health economics courses and modules at a further 12 institutions, in Kenya, Uganda Nigeria and South Africa*. The survey highlighted the extensive skills and knowledge gap and made a series of recommendations for how to grow the cadre of health economists from single-digits per country to a more substantive local critical mass that will be a force for more equitable and efficient resource allocation and health system organization in Africa. Moving forward to March 2019, substantial activity in the teaching health economics (THE) sphere on the continent was evident at the 10th anniversary of the African Health Economics and Policy Association (AfHEA) scientific conference in Accra, Ghana. An organized session at the AfHEA scientific conference, supported by the International Decision Support Initiative (iDSI) and developed by members of the iHEA THE SIG, focused on THE in Africa. The session drew a packed room and featured speakers and interventions from institutions in the continent including University of Ghana, CESAG in Senegal, Makerere University, Uganda, University of Cape Town, South Africa, University of Rwanda, and University of Nairobi, Kenya. In addition, contributions from individuals from institutions including London School of Hygiene and Tropical Medicine, London School of Economics, John’s Hopkins University and University of York provided insight to ways in which high-income country institutions could support THE both practically and through building on historical lessons. The session was also contributed to by colleagues from the World Health Organization, whose flagship health financing short courses have taught hundreds of students in the continent. The session demonstrated the enthusiasm for teaching and discussion of challenges identified common issues to THE in high- and low- and middle-income countries alike: retaining teaching staff and managing teaching loads, balancing research and teaching outputs and hard and soft funding sources, identifying individuals for external moderation course assessment, and providing career trajectories for both teaching staff and graduates. The critical and common differences for THE in the region compared to high-income country institutions is that the nature of the problem is more acute: teaching salaries relative to other employment opportunities in Africa is more stark, available colleagues to provide external moderation are fewer, career trajectory is more limited. A major challenge identified for THE in Africa is the limited applicable case studies to aid teaching: sure the Oregon Experiment or impact of the internal market in the British NHS can be useful case studies in any context, but localized examples help local understanding, and prepare students for working in their country of study. This highlights the importance of viewing THE holistically, noting that unless linked to a vibrant research program, it will be missing an opportunity to produce graduates with applied knowledge ready to address local problems. The opportunities identified focused around better interaction and coordination between institutions both in Africa and globally, innovation around methods of teaching, and tailoring teaching content to the health economics and policy needs in Africa, particularly relating to pursuit of Universal Health Coverage and addressing growing inequity in some African countries. Existing organizations and networks, including the iHEA THE SIG, iDSI and AfHEA have the opportunity to facilitate interaction and coordination, and existing bilateral links have capacity to expand for broader support, particularly between more established institutions and institutions at the development stage. The migration of skilled personnel to higher income countries is felt in all sectors, not least of all THE. However, discussion at the organized session indicated that the African diaspora represented an opportunity for co-supervision, external moderation and course development. An opportunity exists to harness technological development in teaching methods. The University of Cape Town has developed an online post-graduate diploma in health economics that allows students to learn remotely with just a two-week block residency per year. This and further examples globally including the use of Massive Open Online Courses (MOOCs) could facilitate a proliferation of teaching, subject to mechanisms to maintain quality and applicability. One specific suggestion was to explore an online intensive economics ‘bridging course’ for those with medical backgrounds wanting to study health economics, given that one of the challenges facing THE in Africa is the diversity of backgrounds of students. The key take-away from the organized session is that when it comes to THE in Africa, business is booming if measured by the indicative range and distribution of modules and courses developed over the past 10 years and enthusiasm of those involved. The challenges to THE on the continent are acute and very real, but opportunities to address these challenges appear within reach. A more substantive and quantitative diagnostic of the current state of THE in Africa is required, including identifying innovation and bottlenecks. Coordination with organizations offering short courses and targeted training is required in addition to drawing on established funding and knowledge exchange networks. Ultimately, the source of sustainable solutions to problems of inefficient and inequitable health system organization and resource allocation for health in Africa will come from within, but to achieve these home-grown solutions we need a critical mass of people with local knowledge and skills in health economics. THE must become a human resources for health issue, and just as we measure number of nurses per patient to give an indication of health system strength and resilience, so we must start to measure numbers of local health economists and support intuitions that produce them. Many potential initiatives and activities can spring from this exciting organized session at AfHEA conference, not least is that the time is right for interested iHEA THE SIG members to contribute actively to further developing THE in Africa. We hope that this is just the start of the conversation. *McIntyre D, Wayling S, 2008, Strengthening Health Economics Capability in Africa. Special Programme for Research and Training in Tropical Diseases (TDR). On behalf of the Immunization Economics Special Interest Group (SIG), I am pleased to announce that we have secured a larger space for the iHEA pre-congress session in Basel, July 13-14, to accommodate the overwhelming interest from the iHEA community and beyond. If you have registered for the iHEA Congress but were previously unable to select the Immunization Economics pre-congress session because it was full, please know that registration is now re-opened. Please do not hesitate to contact me (csuharlim@mail.harvard.edu) should you require assistance in updating your registration to the pre-congress session. There is no additional charge for you to join this Immunization Economics pre-congress session, which includes two full days of activity, meeting materials, lunch, dinner, a social on July 13th and coffee breaks. Community members are invited to present a poster presentation. The deadline to complete submission forms is TODAY, Friday March 29th, 2019 - which includes presenter’s general info, resume, 100-word statement on the relevance and significance of this work, 100-word methodology detail, and a 300-word abstract. Funding support towards travel and accommodation costs will be given to 5 high-scoring submissions (up to $2500 each). Late submissions may be considered for the poster presentation session on a space-available basis. The draft agenda and further information are available at www.immunizationeconomics.org/basel. We’re looking forward to hear your thoughts about the programme. Ever year in the US around 2.5 million people die and this is likely to increase due to population ageing (1) The US is one of the most ethnically and racially diverse countries in the world. By 2050 there is estimated to be 33 million black American, Hispanic, Asian, American Indian or Alaskan Native individuals age 65 years and older. This represents nearly 40% of the population of this age group (2). A rising number of people requiring end-of-life care poses a significant challenge to the provision of high-quality care, especially when meeting care needs of an ethnically and racially diverse population. Different racial and ethnic groups have different perceptions and values when it comes to death and dying. These should be acknowledged when it comes to the provision of patient-centred end-of-life care. A recent study, published in SSM-Population Health, reflected on differences in end-of-life care utilization and planning participation among different racial and ethnic groups of Americans, using nationally representative secondary data from the Health and Retirement Study between 2002 to 2014. Findings reveal significant disparities in end-of-life care between white Americans and ethnic and racial minorities. For example, minorities are more likely to be exposed to overly intensive care at the end-of-life and to die in a hospital, even after adjusting for a set of standard confounders. Also, these groups are less likely to express their preferences regarding terminal care and engage in end-of-life planning activities. When they do, minorities tend to prefer intensive end-of-life treatments and they would be reluctant to refuse or withhold available treatments. Even though the disparities are persistent and significant, it is encouraging that they have been narrowing in the observed period. Documented racial and ethnic disparities in end-of-life care go beyond financial barriers to care and reflect different expectations that individuals from different racial and ethnic groups have towards the end-of-life. Possible reasons could be their cultural heritage, mistrust in the healthcare system that they will receive high-quality care and the fear for the lack of control over their end-of-life care. Acknowledging the cultural component in the provision of end-of-life care is an important element of its quality. Improved cross-cultural understanding and communication techniques are required to facilitate better end-of-life care provision and ensure good outcomes of care for all involved. 1. Kochanek KD, Murphy SL, Xu JQ, Arias E. Mortality in the United States, 2016. . Hyattsville, MD: National Center for Health Statistics, 2017. 2. Ortman JM, VelKoff VA. An Aging Nation: The Older Population in the United States. United States Census Bureau, Economics and Statistics Administration, US Department of Commerce, 2014. 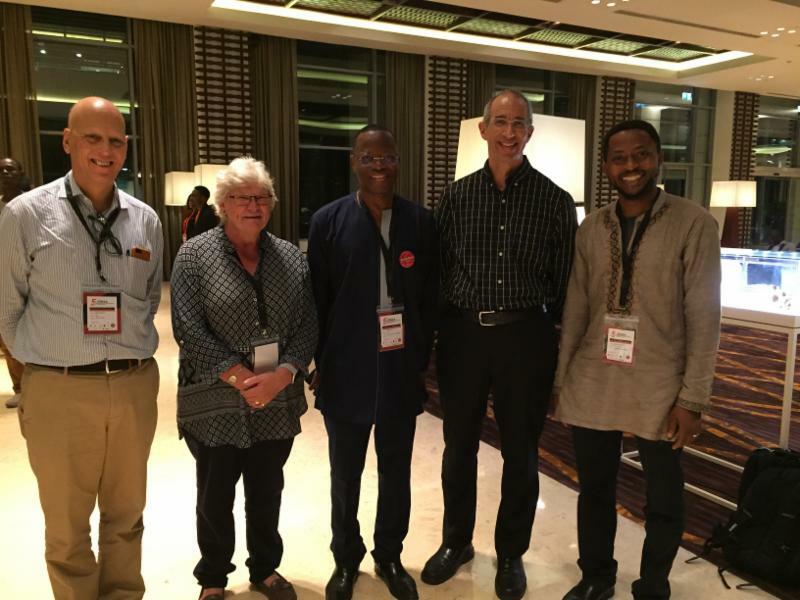 We came... We saw... We were impressed... That was the resounding message at the close of the 5th Africa Health Economics and Policy Association Conference that was held from 11th to 15th March 2019 in Accra, Ghana. The 5th AfHEA conference marked the 10th anniversary of the founding of the association and the first AfHEA conference in Ghana in 2009. This occasion was befittingly opened by the Vice-President of Ghana, His Excellency AlHajji Dr Mahamudu Bawumia, who also happens to be an economist. The numbers were impressive! This was by far the biggest gathering of health economists in Africa since the founding of AfHEA 10 years ago. In total, there were 307 accepted abstracts; 274 oral presentations and 33 poster presentations. In total, there were 5 pre-conference capacity-building workshops, 7 plenary sessions and 64 parallel sessions (each with at least 3 presentations) covering a diverse range of health economics and policy subjects. The conference had close to 400 participants in attendance. Even more impressive was the diversity of the people present. The presenters came from all countries across Anglophone and Francophone Africa and beyond. They ranged from postgraduate students, early career researchers to established health economics, health policy and health financing professionals. In his remarks during the opening session of the conference, the Executive Director of AfHEA, Dr. Chris Atim, reported on the massive growth AfHEA has had in the last 10 years. The numbers have grown from 87 at the inception in 2009 to over 300 registered members in 2019 with more than 1,000 active on the AfHEA online platform. He congratulated Nigeria on leading the pack in terms of membership currently, noting that countries have been exchanging the number one spot over the years. There was also representation from the International Health Economics Association (iHEA) by both the current President Prof. David Bishai, Past President Dr. Adam Wagstaff and Executive Director (who is also an AfHEA founding member) Prof. Di McIntyre. Prof. Bishai, in his capacity as iHEA President, declared AfHEA the best child that iHEA had given birth to. Members of other regional health economics organizations were also present, such as Soonman Kwon, the President of Korean Health Economic Association, and Tony Culyer, the founding organizer of the Health Economists' Study Group in the UK in 1972, the first professional group for health economists and on which other health economics professional organizations including AfHEA have been modelled. The key message! In the closing session of the conference, Dr. Anarfi Asamoa-Baah, former Deputy-Director General of the World Health Organization, clearly spelt out the challenge ahead for African health economists. He noted that while the conference results were rich, most fell short of teasing out the actual implications for policy. In emphasizing his point, he reminded health economists that they need to recognize that while evidence is important, policy is often made even in the absence of evidence. To ensure that evidence actually informs policy, researchers need to put themselves in the place of the policy makers so that they produce research relevant to them. Prof. Di McIntyre also emphasized the importance of understanding power relations and their effect on policy implementation. While acknowledging the tremendous (and impressive!) work done by the organizing committee and all the AfHEA members in attendance, a clear take-home message was that even more could be done for the next AfHEA conference in 2021. That is the same year that iHEA comes to Africa! The iHEA Student Prize is to recognize excellence by students in the field of health economics. It was first awarded in 1999 and biennially thereafter to coincide with the iHEA congress. As from 2017, there has been a standing Student Paper Prize committee to award this prize annually to the Masters or Doctoral student paper judged as best in the award year. Each year the Committee will consider a short list of submitted papers evaluated by all of the committee members using similar criteria to that of the long established Arrow Award. This year, 40 papers were refereed by the Prize Committee. On behalf of the Committee, we are very pleased to announce the 2019 Prize is being awarded to the student paper by Monica Aswani "Differential Impact of Hospital and Community Factors on Medicare Readmission Penalties". The paper seeks to identify characteristics and sources of regional heterogeneity associated with readmission penalties. Using a hierarchical model it finds if readmission risk adjustment does not include any community level characteristics or geographic controls, the resulting endogeneity bias has the potential to disparately penalize providers. Honorable mentions go to the 2nd placed paper by Barton Willage "The effect of weight on mental health: New evidence using genetic IVs”, and third placed paper by Panka Bencsik "Stress on the sidewalk: The mental health costs of close proximity crime”. 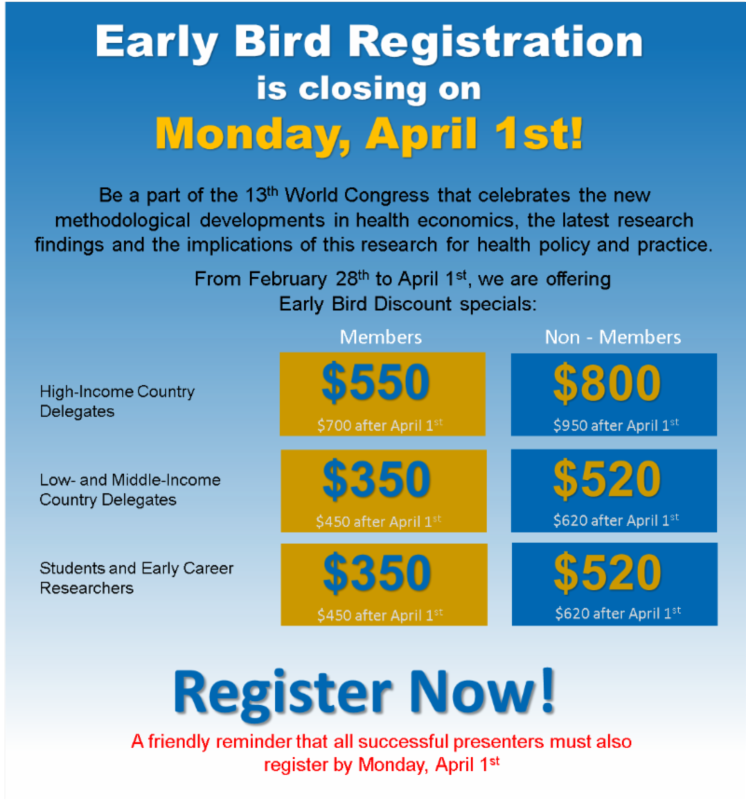 The 1st prize is subsidized travel, accommodation and registration for the next iHEA Congress in Basel to present the paper in a Student Prize Special Organized Session chaired by the iHEA President, or Chair of the Prize Committee, as well as a cash prize. The papers in 2nd and 3rd place each receive a cash prize and complimentary registration for the next iHEA Congress. They are also invited to give brief presentations at the iHEA Congress Student Prize Special Organized Session. Many thanks to all those who submitted papers for consideration, and to the Prize Committee for all their hard work. The next call for submissions will be issued later in 2019. Economic evaluations of treatments for children have primarily used adult preferences when estimating health benefits using multi-attribute utility measures. Recent work has demonstrated that using adult value sets to inform preferences for health states experienced by children or adolescents is not appropriate, and this has raised doubts about the validity of such economic evaluations. Eliciting preferences to be used to inform decisions about health care for younger populations is challenging - it poses normative and practical questions about whose values should be collected, and from which perspective. In this webinar, Koonal Shah (Office of Health Economics) will discuss some of these challenges, and will present an overview of research undertaken to generate preference-based values for the EQ-5D-Y, the 'youth' version of the EQ-5D. The research includes: using a discrete choice experience to obtain latent scale values for the EQ-5D-Y; a comparison of adult and adolescent preferences over EQ-5D-Y health states; and an assessment of methods for anchoring the latest scale DCE data on the 0-1 scale required for the conventions of QALY estimation. If you have any questions or feedback around iHEA webinars, please reach out to us at ihea@healtheconomics.org. The International Health Economics Association (iHEA), American Society of Health Economists (ASHEcon) and the Health Economics Research Organization (HERO) are soliciting papers for presentation at the 2020 Allied Social Science Association (ASSA) annual meeting to be held in San Diego, CA on January 3-5, 2020 (Friday, Saturday, & Sunday). Based upon submitted abstracts, papers will be selected for 2 iHEA-organized sessions, 1 ASHEcon-organized session, and 5 HERO-organized sessions. iHEA seeks abstracts for sessions that will focus on international health economics research; ASHEcon seeks abstracts related to US-focused health economics topics; and HERO seeks abstracts on all issues of relevance to the health economics field. Anyone is eligible to submit an abstract, which must be 500 words or less. Please submit abstracts by May 1, 2019 here. Parallel review will take place by distinct review committees. The iHEA review committee will be chaired by the President-Elect (Winnie Yip, Harvard University). The ASHEcon review will be performed by Past-President Mark Pauly (University of Pennsylvania), Kate Bundorf (Stanford University), Christopher “Kitt” Carpenter (Vanderbilt University), Robin McKnight (Wellesley College), and Frank Sloan (Duke University). The HERO Review Committee is comprised of Donald Yett (USC), Amanda Kowalski (University of Michigan), and Kosali Simon (Indiana University). iHEA, ASHEcon and HERO are independent organizations each with affiliate status in the ASSA. Please click here to access the SocialLink user guide. We hope that this guide will give members a better idea on how they can best use SocialLink, our member community and networking app, to connect with other members and engage with our Special Interest Groups. 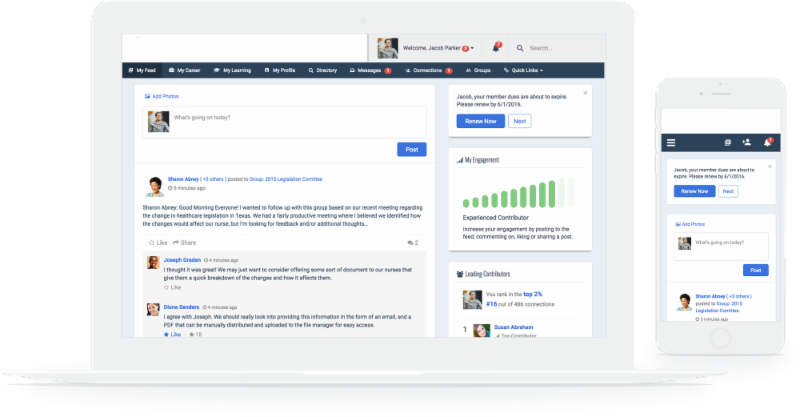 We will continue to build out the FAQ section of SocialLink, but if you have any questions please reach out to us at ihea@healtheconomics.org!